SPEED-CASTER™ 525 & 900 for Sale in Toledo, OH | ABCO SERVICES INC. 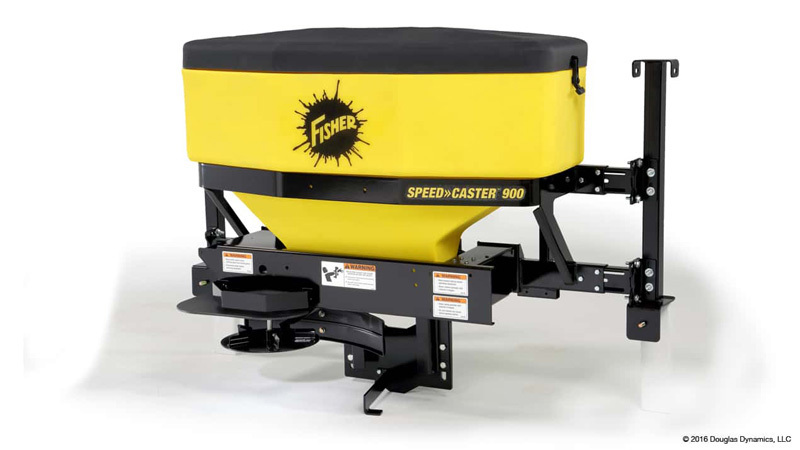 The FISHER® SPEED-CASTER™ 525 and SPEED-CASTER™ 900 tailgate spreaders offer professional performance in any condition. These spreaders feature a 2-stage, auger-fed delivery system with independent control of material flow and spread pattern allowing you to put deicing material in the right place at the right time. Designed for tractors, SUVs and 1 ton or smaller pickup trucks, these tailgate-mounted salt and sand spreaders are fit for home use or commercial ice control in Toledo.